CoSchedule vs. Kontentino – Which tool is better for you? Kontentino was born in a social media agency to speed up the content creation process. It helps with collaboration, approving, scheduling, publishing and creating reports both internally and with clients. CoSchedule is a complex social media content scheduler and task manager. In higher pricing tiers it also supports collaboration and approval workflow. Differing greatly in price, Kontentino’s cost per user starts at $10 /month, CoSchedule’s at $20 /month. What else can Kontentino help with? Tag pages: Simply tag pages in your post copy as you are used to on Facebook and LinkedIn. Audience restrictions: Set up the preferred audiences for your Facebook post based on age or country. Inspirations: You or your client can add post inspirations to the calendar. Let Kontentino remind you of the brand anniversary, new product launch or international days. Collaboration and approval workflow: Kontentino – with all plans – offers the possibility to approve and collaborate on content with different rights for different roles. Assets: Unlimited storage for your agency’s media without the need for you to think about what you need to delete ever again. 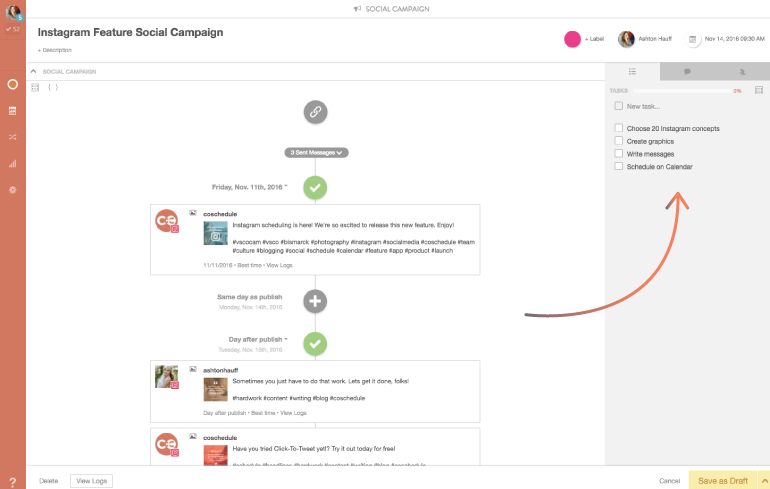 Social campaigns: Keep all your posts across platforms in one place for easier navigation. ReQueue: Automatically reposts your evergreen content at optimal time. Filters: Quickly find the posts you are looking for and save the presets for the future. While Kontentino you get almost all features with all plans, with CoSchedule you will have to decide what you want to use and choose your plan according to that. As said previously, Kontentino was born in a social media agency to speed up the social media processes. 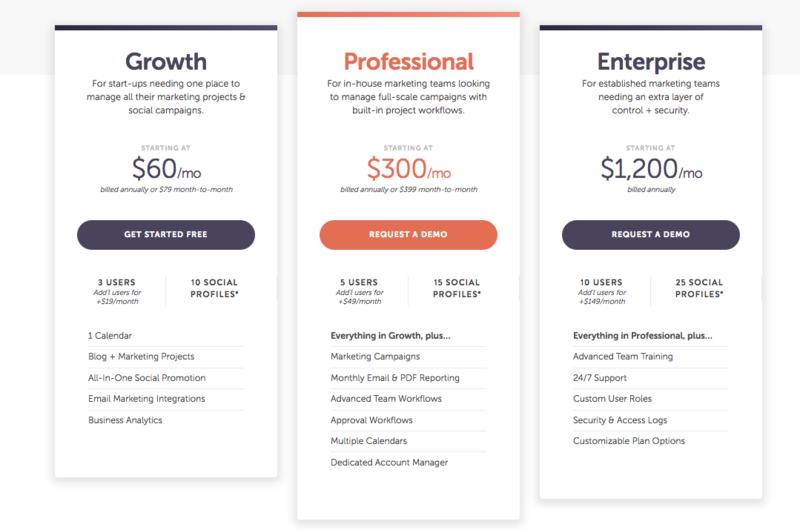 So if your focus is collaborating, approving, scheduling content and sharing reports both internally and with a client, Kontentino is the better (and cheaper) option. It will get rid of chaos and redundant unnecessary tasks for the fraction of the price. If you need to keep track of multiple content types and to-do lists, this one’s for you. You will need to dig deeper into your pockets though. If you want to see if Kontentino is the one for you, feel free to do so in the month-long trial. 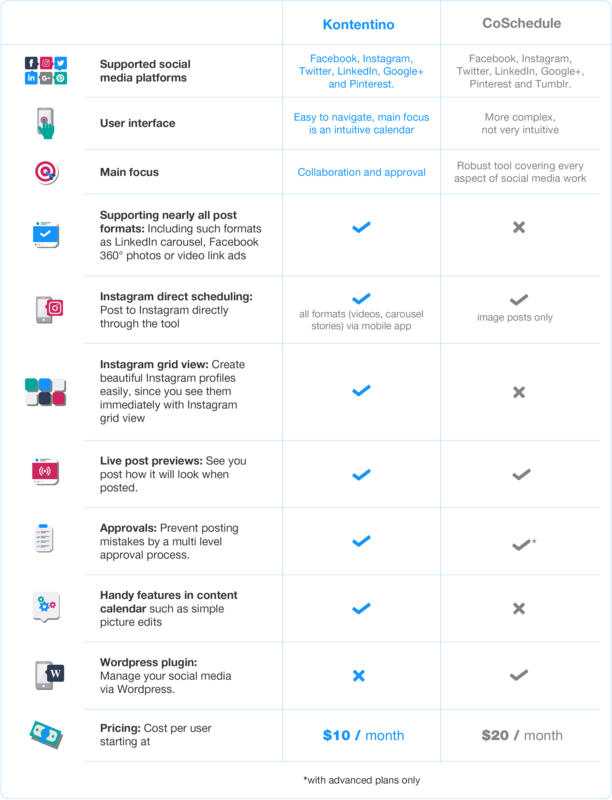 Hootsuite vs. Kontentino: Which tool is better for you?